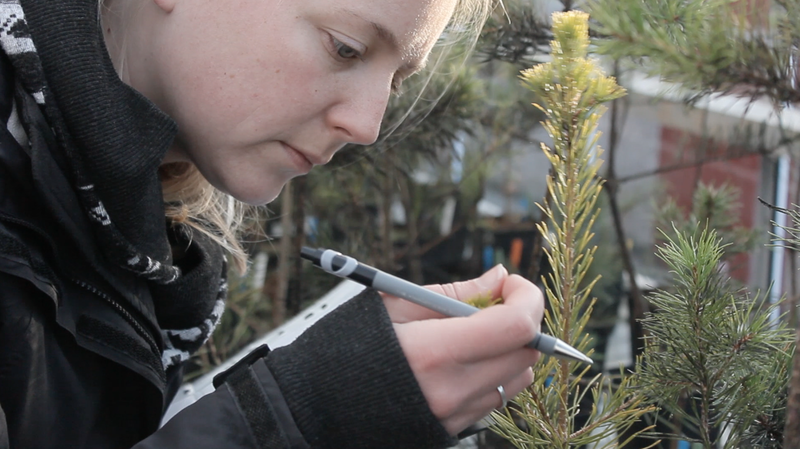 PROTREE is using Scots pine as an example to explore how forestry can encourage resilience in our tree populations. Tackling the tree health problems caused by an ever expanding number of new pests and diseases is not just a matter of being vigilant and responding to outbreaks. Just as vital is the aim of building resilience into our forested landscapes. 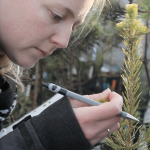 It is this second approach that has provided the focus of work by RBGE and six other Scottish research institutes involved in the PROTREE project. 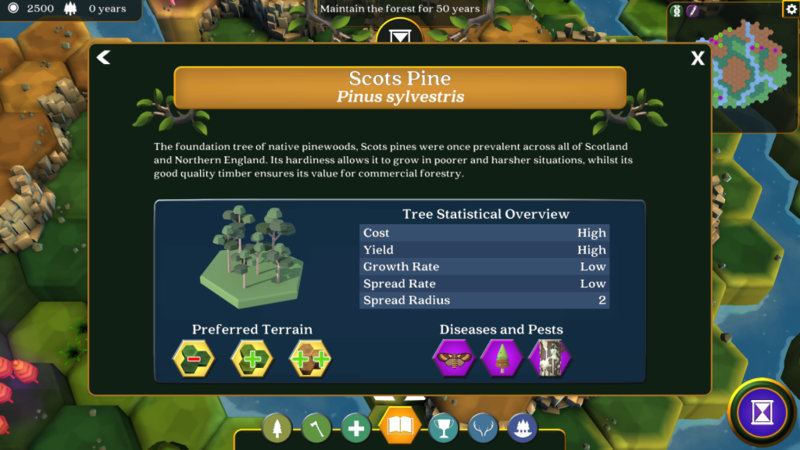 In order to reach a wide audience, and in particular young people who will be the next generation of plant health specialists, PROTREE has opted to use the medium of computer games. Getting across the message about genetic diversity and its fundamental role in enabling tree populations to become more resilient is ultimately the challenge that we faced with this game. Working together, the scientists and a team of games designers at Hyper Luminal Games have created CALEDON. The game makes you the manager of your own virtual forest and is targeted primarily at teens and secondary school teachers. Having said that, anyone with an interest in plant health or the environment can learn by playing the game and it has already been used as a teaching aid in the forestry sector. 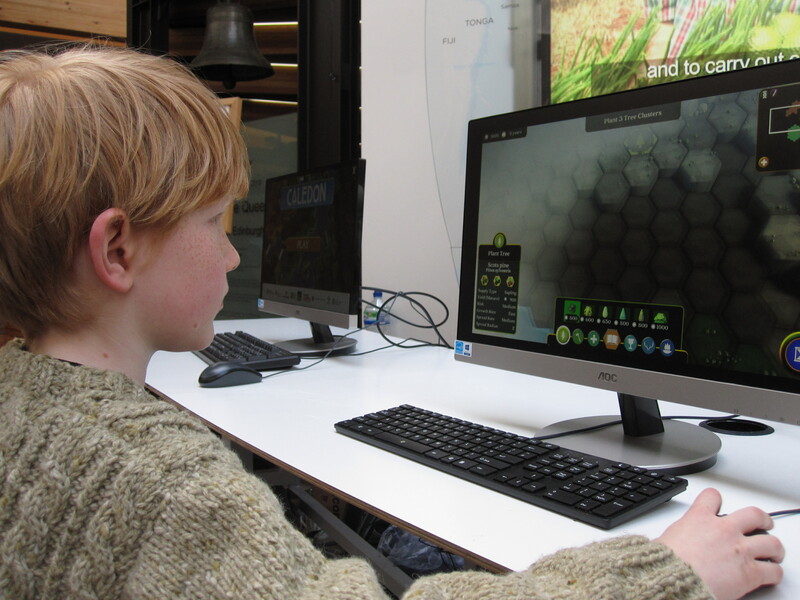 The game includes an encyclopaedia that helps players develop knowledge and hone their strategy. The way tree species and pathogens interact with each other and the environment is informed by the real world, and the game is in effect a simple forest simulator. Although it is educational entertainment and not a tool for real-world planning, the game could be used to illustrate how differences in genetic diversity or species composition might affect response to a disease. The player is completely in control of the pace as time is only advanced when all the changes s/he wishes to make and can afford (the game has a financial aspect) have been made. Time is then advanced by five years and in a few seconds all sorts of interactions and random events will play out. CALEDON has been well recieved at a series of public events in 2016. The hope for CALEDON is that players of the game learn something about the many threats our trees and forests face and the complexity of creating a sustainable forest landscape. In addition, a sense of the value of genetic diversity should become clear from experience, in-game prompts on good strategy and an encyclopaedia that can be consulted at any time. Ideally the game will introduce some new thinking and perhaps even stimulate a shift in direction for forestry that acknowledges diversity and its important role in tree health.